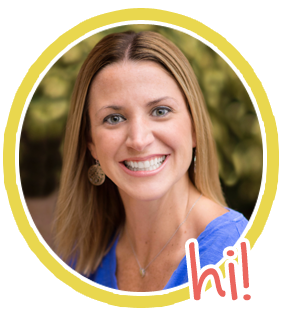 Do you have students that say, “I don’t know what to write about!”? You tell your kiddos to get out their writing journals, and you hear groans from the same kids who always tell you they have NOTHING to write about. #amiright? Just print these writing prompts on Avery ® 8163 labels. Actual size of writing prompt label is 2” x 4”. Students can peel off a label and stick it right inside their writing notebook. Students will enjoy choosing their own writing prompt, and you can easily differentiate content! If you'd rather not use labels, just print the prompts on colored card stock and laminate. Put these writing prompts in a folder or bucket, and let children choose a label when they are stuck and just can’t think of anything to write about. 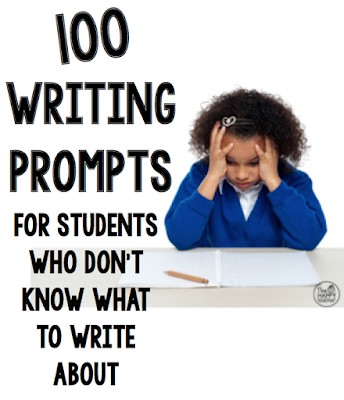 Eliminate the headaches from journal writing time with a variety of writing prompts that are easy for students to utilize. You could even print the writing prompts and cut them in strips. Each table could have a strip to choose the prompt they like, or put all the strips in a folder for easy access! I love the idea of printing on labels! Thanks! Are the writing prompts posted some where? Love your idea! Sorry - found it on your TPT site!